I love cooking in the crockpot. It has to be the easiest thing ever. You just throw everything in and wait until it’s ready. 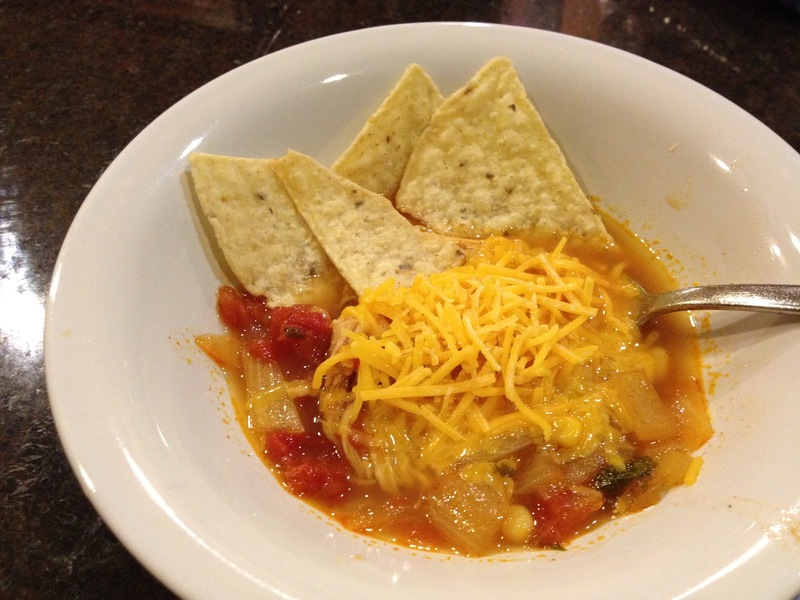 I found this really easy to cook chicken tortilla soup online, so I thought it was worth a try. The most stressful part of the whole thing was going grocery shopping. Since my husband was at work, I had to go myself. I hate going to the grocery store. I think that the biggest thing I learned from this is that our crockpot is really too small. The next time I see a bigger crockpot, I think I will go ahead and buy it. All of this BARELY fit in the one I have. 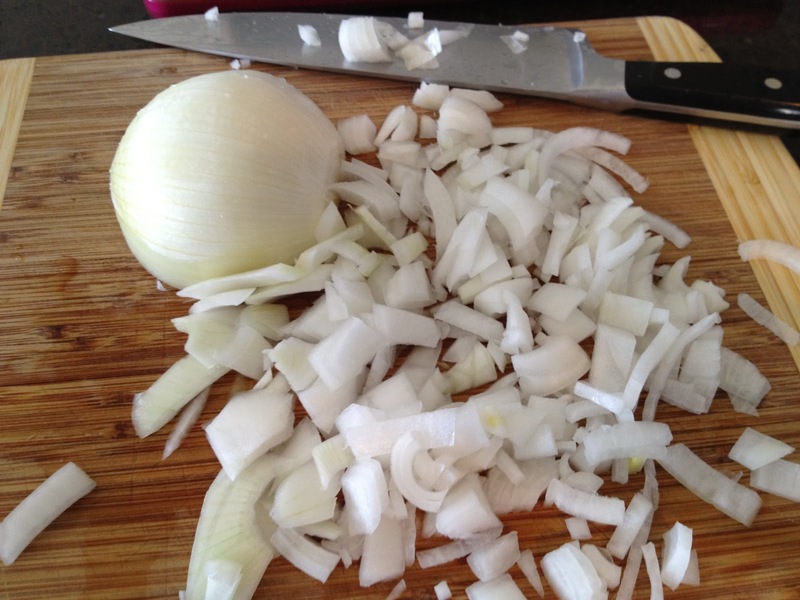 For this recipe, the only real prep work that I had to do was chop the onions and even that took a couple of seconds!! 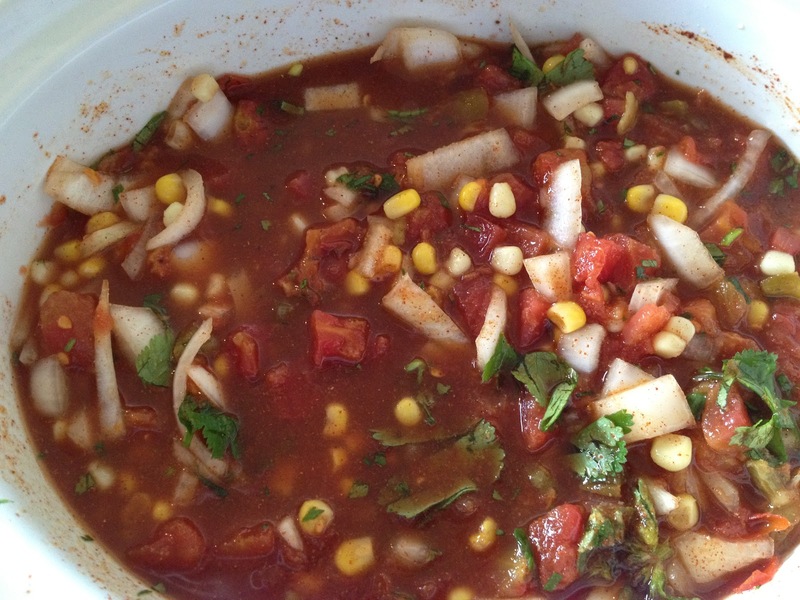 Since I used fresh cilantro, I had to chop that too, but you can use the pre packaged stuff if you want! 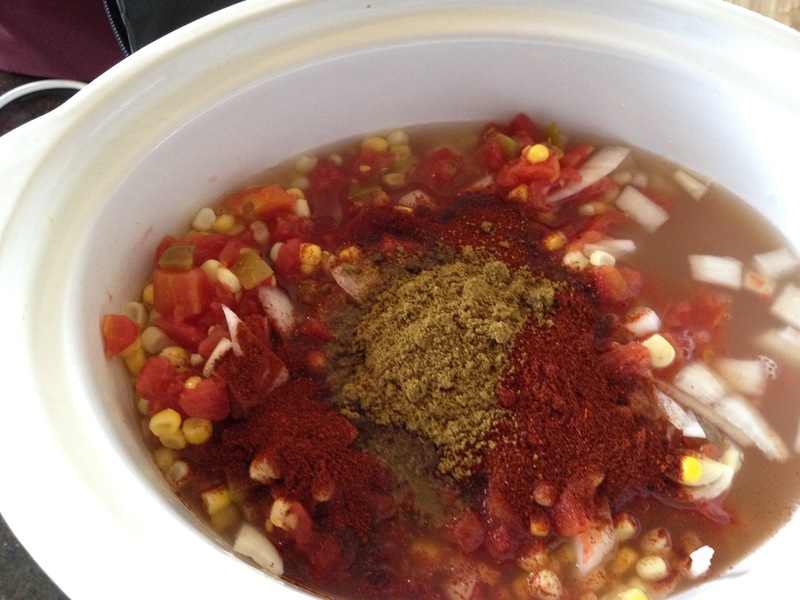 Put chopped onion, rotel, corn, chicken broth, water, and spices in CrockPot and stir. 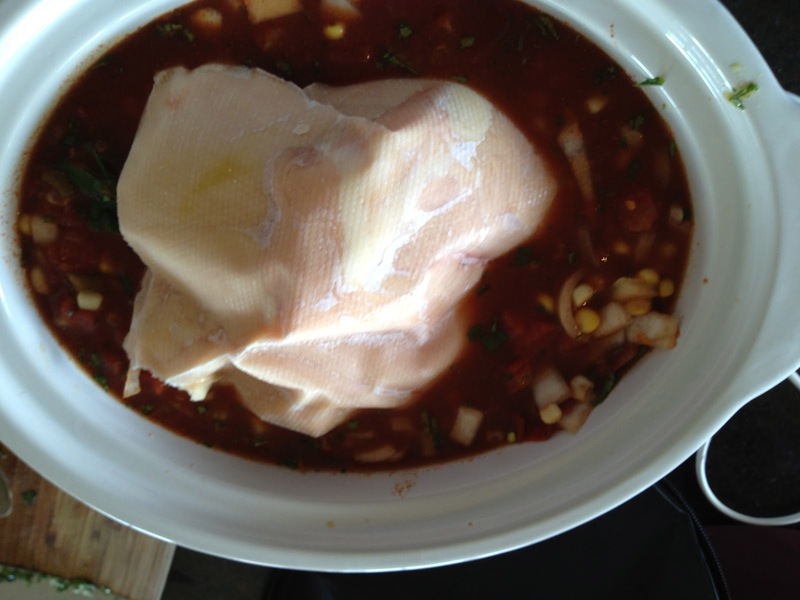 Put chicken breasts on top of mixture and make sure they’re at least partly submerged in liquid. Cook on high 6-7 hours or low 8-9 hours. 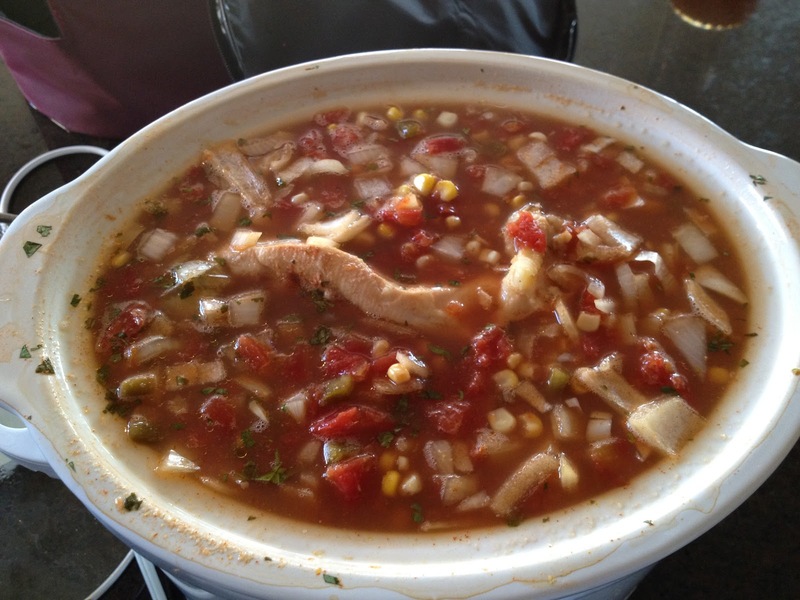 Before serving remove the chicken breasts from soup and shred it before returning it to CrockPot. Stir to combine. To serve put a few tortilla chips in the bottom of a bowl, ladle soup over tortilla chips, top with shredded cheddar cheese and sour cream, if you like. It’s delicious! Enjoy! Looks yummy! When buying a new crock pot, you may want to look for one that has a digital timer. You can set it for say 6 hours on high (while you're at work and then it will go into "warm mode" until you get home!!! I love my 3 crock pots !!!!! Mine are all 6.5 quart crock pots. Good to know. I had no idea that crock pots had gotten so fancy!! I'll be getting a new one this weekend!